I am working on a video player for android device, in which I am using ffmpeg for decoding and opengl es for rendering. I am stuck at one point where I am using opengl es shaders for YUV to RGB conversion. Application is able to display image but its not displaying correct colors. 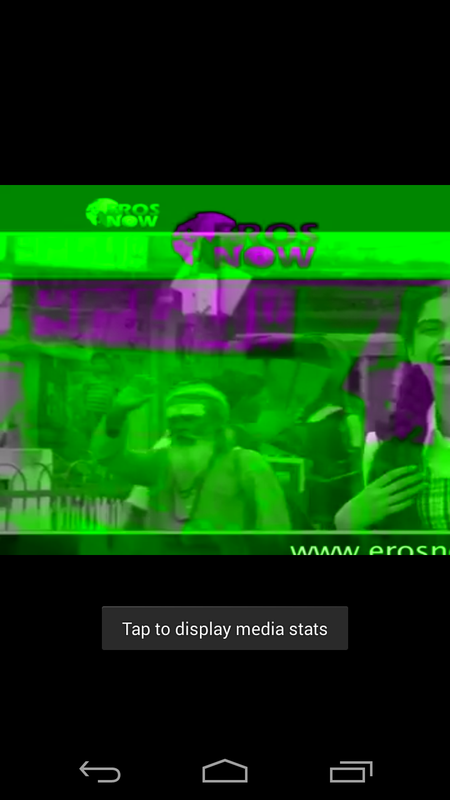 After conervting from YUV to RGB, image only displays green and pink colors. I did searched on google, but no solution found. Can any one please help me on this topic? I am getting three different buffers (y, u, v) from ffmpeg and then I am passing these buffers to 3 textures as it is. Here are shaders I am using. "float u=texture2D(uTexture, v_vTexCoord).r - 0.5;\n"
"float v=texture2D(vTexture, v_vTexCoord).r - 0.5;\n"
"float r=y + 1.13983 * v;\n"
"float g=y - 0.39465 * u - 0.58060 * v;\n"
"float b=y + 2.03211 * u;\n"
"gl_FragColor = vec4(r, g, b, 1.0);\n"
Here is an implementation in GLSL that I coded and tested on the Freescale i.MX53. I recommend you try this code. Not the answer you're looking for? Browse other questions tagged android c++ opengl-es ffmpeg or ask your own question.